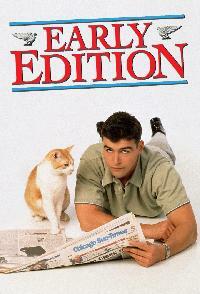 Early Edition Gary Hobson was a regular Chicago stockbroker. One day his wife dumped him and he was forced to move into a hotel room. The next morning, at 6:30 am, a mysterious yellow cat showed up at his front door with tomorrows edition of the Chicago Sun-Times. From that day on his life was never the same. At first skeptical, Gary started to try saving peoples lives and stop disasters from happening. With the help of his friends Chuck and Marissa, Gary became a man with a mission, even though he doesnt know why or how the paper gets to him every morning. 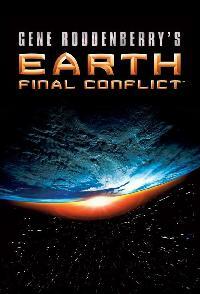 Earth Final Conflict An androgynous alien species called the Taelons arrive on earth, claiming to be companions of humanity, putting an end to crime, illness, and famine. Some are suspicious of the Taleons, and form a resistance movement. The resistance soon learned that the force that sustains the Taelons are breaking down, and they are using humans as test subjects in experiments to help save their species. The initial focus of the show was Commander William Boone and his partner, Captain Lili Marquette, who worked for both the Taelons and the resistance. 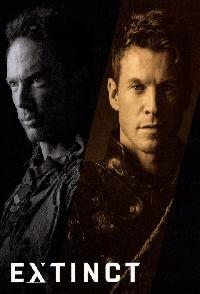 After Boone was killed, the show introduced a new protagonist, Major Liam Kincaid, and began to play on the strengths of its ensemble cast. 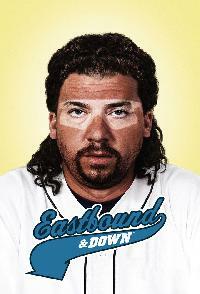 Eastbound And Down Relief Pitcher Kenny Powers was poised to rule the Big Leagues, but two things got in his way: his fading fastball and his insufferable personality. After a spectacular career flame-out, Kenny came home to Shelby County, NC and picked up a job as a substitute gym teacher (mostly so his brother Dustin would stop threatening to kick him out). Hes spent every moment since then cashing in the last of his dying fame while plotting his inevitable comeback...one beer at a time. Elementary Following his fall from grace in London and a stint in rehab, eccentric Sherlock escapes to Manhattan where his wealthy father forces him to live with his worst nightmare a sober companion, Dr. Watson. A successful surgeon until she lost a patient and her license three years ago, Watson views her current job as another opportunity to help people, as well as paying a penance. Holmes resumes his work as a police consultant in New York City and Watson has no choice but to accompany her irascible new charge on his jobs. 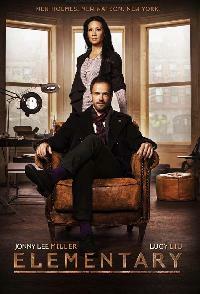 But Sherlock finds her medical background helpful, and Watson realizes she has a knack for playing investigator.With the mischievous Sherlock Holmes now running free in New Yorksolving crimes, its simple deduction that hes going to need someone to keep him grounded, and its elementary that its a job for Watson. 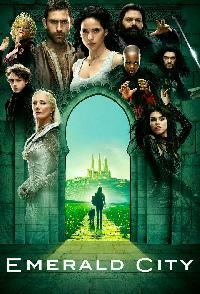 Emerald City Swept up into the eye of a tornado, 20-year-old Dorothy Gale is transported to another world - a mystical land in great peril, where an all-powerful wizard has forbidden magic and rules over many kingdoms. This is the fabled Land of Oz in a way youve never seen it before, where lethal warriors roam, wicked witches plot in the shadows and a young girl from Kansas becomes a headstrong heroine who holds the fate of their world in her hands. Emily Owens MD At long last, Emily Owens feels like she is an actual grown-up. She can finally put her high school days as the geeky-girl-with-flop-sweats behind her; shes graduated from medical school and is now a first-year intern at Denver Memorial Hospital, where shell have the chance to work with world-famous cardiologist Dr. Gina Beckett and where, not-so-coincidentally, her med-school crush Will Rider is also an intern. So why does everyone keep warning her that the hospital is just like high school? Emily soon finds out the hard way her high school nemesis, the gorgeous, popular Cassandra Kopelson, is also just starting out at Denver Memorial, and it seems like theyre rivals all over again not only as surgical interns, but for Wills attention. 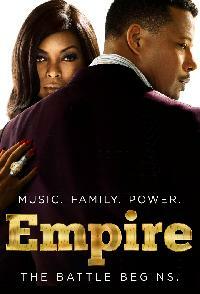 Empire (2015) LUCIOUS LYON is the king of hip-hop. An immensely talented artist, the CEO of Empire Entertainment and a former street thug, his reign has been unchallenged for years. But all that changes, when he learns he has a disease that is going to render him crippled and incapacitated in a matter of three years. The clock is ticking, and he must groom one of his three sons to take over his crowning achievement, without destroying his already fractured family. 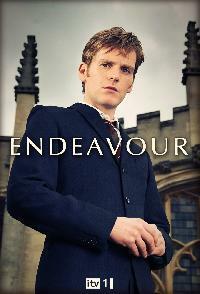 Endeavour Set in 1965, young Detective Constable Endeavour Morse investigates a case in Oxford. Enlightened Enlightened follows the story of Amy, a self-destructive executive, who, after a very public breakdown and a subsequent philosophical awakening in rehabilitation, tries to get her life back together. 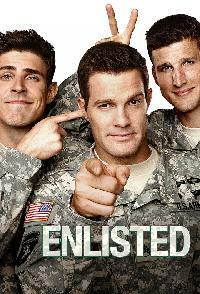 Enlisted Enlisted is based on Kevin Biegels relationship with his siblings. 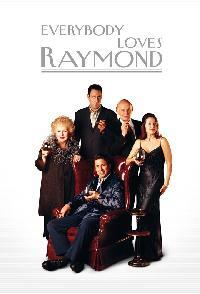 The comedy follows three very different brothers working together in the Army at a small base in Florida. 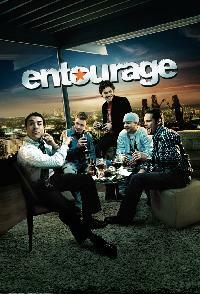 Entourage Vincent Chase is a young actor whose career is on the rise. Joining him on his journey to stardom are his childhood buddies Eric, Turtle, his brother Johnny Drama and his hot-tempered agent Ari Gold. Together, theyll navigate the highs and lows of Hollywoods fast lane, where the stakes are higher -- and the money and temptations greater -- than ever before. 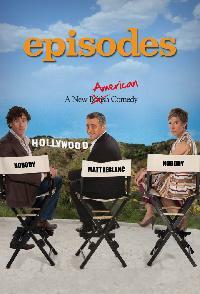 Episodes "Episodes" centers on a U.K. show by a British couple that is turned into an Americanized sitcom. 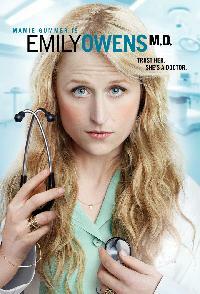 ER ER follows the medical personnel and patients in the emergency room of Chicagos fictional County General Hospital. Created by best-selling author Michael Crichton ("Jurassic Park") and produced by John Wells ("The West Wing"), Christopher Chulack ("Third Watch"), David Zabel ("JAG"), and R. Scott Gemmill ("Jonny Zero"), the Emmy Award-winning series has completed twelve seasons as one of televisions highest-rated dramas.The doctors and nurses of Countys ER confront the daily challenges of a busy urban hospital, including overcrowded waiting rooms, staffing shortages, and the impact of life-and-death decisions. While they teach the next generation of doctors, each must tackle the demands of their personal lives, at times unsuccessfully. The staff is led by Chief of Emergency Medicine Dr. Luka Kovac (Goran Visnjic, "Welcome to Sarajevo"), a gifted teacher who came from Croatia to Chicago, where hes built a new life and a new family, but is still followed by the shadows of a tragic past, and Dr. Kerry Weaver, Countys Chief of Staff (Laura Innes, "Deep Impact"), a compassionate doctor and uncompromising administrator who must face some dramatic changes in her life. The ER is staffed by two new attending physicians: Dr. Gregory Pratt (Mekhi Phifer, "8 Mile") whose rebel days seem behind him as he matures into a new role, and former Chief Resident Dr. Archie Morris (Scott Grimes, "Band of Brothers") who faces the realization medicine may be his true calling. The backbone of the ER are third-year year residents Dr. Abby Lockhart (Maura Tierney, "Newsradio") a former ER nurse turned doctor, who must balance a demanding career with a new family, and Dr. Ray Barnett (Shane West "A Walk to Remember") whose rock-doc days are finally behind him, along with feisty nurse Samantha Taggart (Linda Cardellini, "Brokeback Mountain") a tough single mother attempting to balance her difficult personal issues with her demanding professional life. Now in surgery, Dr. Neela Rasgotra (Parminder Nagra, "Bend it Like Beckham") makes a professional change as she recovers from the death of her husband, and new to the ER is intern Dr. Tony Gates (John Stamos, "Full House") a paramedic turned doctor who sees rules as made to be broken. Featured this season as recurring characters are Leland Orser ("Runaway Jury") as the ERs highly individual surgical attending, Dr. Lucien Dubenko, J. P. Manoux as surgical Chief Resident Dr. Damien Crenshaw, and a lively group of new interns and medical students. Guest stars for the first half of the season will include Sally Field ("Norma Rae") as Abbys bipolar mother, John Mahoney ("Frasier") as a club owner with an colorful lifestyle, and in a six-episode story arc as a patient who suffers a stroke in the overcrowded ER under Lukas care, actor/director Forest Whitaker ("Good Morning Vietnam". )The winner of 22 Emmy Awards including Outstanding Drama Series (1996), with 115 nominations, an industry record, ER has also won the George Foster Peabody Award (1995), and four Screen Actors Guild Awards for Outstanding Ensemble Performance in a Drama Series. 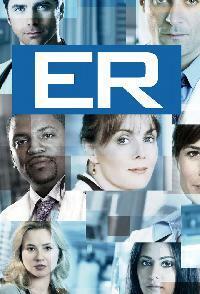 ER has been renewed by NBC through the 2007-2008 television season. 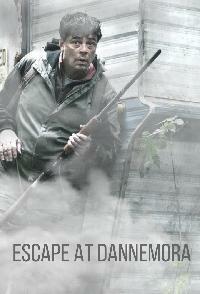 Escape At Dannemora This limited series is based on the stranger-than-fiction account of a prison break in upstate New York in the summer of 2015 that spawned a massive manhunt for two convicted murderers. The prisoners were aided in their escape by a married female prison employee with whom they both became sexually entangled. Eureka The sleepy Pacific Northwest town of Eureka is hiding a mysterious secret. The government has been relocating the worlds geniuses and their families to this rustic town for years where innovation and chaos have lived hand in hand. U.S. 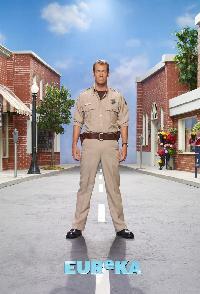 Marshal Jack Carter (Colin Ferguson) stumbles upon this odd town after wrecking his car and becoming stranded there. When the denizens of the town unleash an unknown scientific creation, Carter jumps in to try to restore order and consequently learns of one of the countrys best kept secrets. 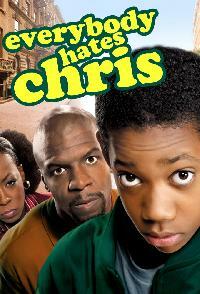 Everybody Hates Chris A black teen in Brooklyn during the early 1980s attends a mostly white school in a sitcom inspired by the childhood experiences of comedian Chris Rock, who produced and narrates the series. Bolstered by a soundtrack that beautifully evokes the 80s, the show chronicles the life of the young Chris, whose familys penny-pinching is leavened by love (and laughs). At home, Chris helps care for his younger brother and sister, while at school hes often the target of a racist bully. 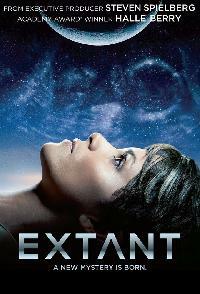 Extant "Extant" is a futuristic thriller that follows a female astronaut who tries to reconnect with her family when she returns after a year in outer space. Her experiences lead to events that ultimately change the course of human history. Extinct (2017) Extinct takes place 400 years after the extinction of the human race and follows a small group of humans who are revived by an alien civilization. Over the course of the season, the series carries the colony of revived humans through struggles with the aliens who extinguished humankind centuries before, while trying to understand and get along with the mysterious aliens who revived them. 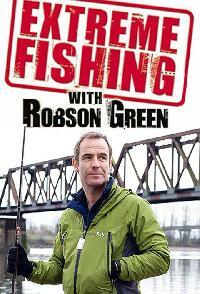 Extreme Fishing with Robson Green Robson Green an experienced fly-fisherman embarks on a fishing trip of colossal proportions that sees him attempting to land some of the wildest and most elusive sea creatures in the world. On his journey, Robson casts out for such exotic destinations as Africa, Europe, America and China, where he meets some of the worlds most skilled fishermen. 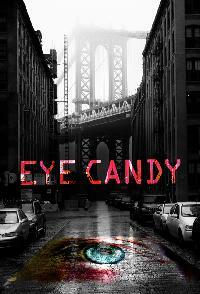 Eye Candy Eye Candy centers on tech genius Lindy, who is persuaded by her roommate to begin online dating and begins to suspect that one of her mysterious suitors might be a deadly cyber stalker. When her friends at the elusive cyber-police uncover a potential serial killer in Manhattan, all signs point to one of Lindys dates. Teaming up with this band of hackers, Lindy works to solve the murders while unleashing her own style of justice on the streets of New York City. 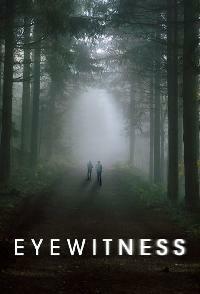 Eyewitness Two teenage boys secretly meet up in a cabin, bear witness to a shooting and barely escape with their lives. Desperate to keep their relationship a secret and in fear of being found by the perpetrator, they remain silent but soon learn that what has been seen cannot be unseen -- and when you witness a horrible event, it changes everything.